This is my first AAR so if you like it please be sure to recommend it further to anyone you know who might be interested. Also, I am always very happy for any feedback, be it small things you notice that should be corrected, larger aspects of plot/character that you think could be done better, or even just a simple "I liked it, especially that one bit where..." Furthermore, don't feel like you need to be careful when critiquing anything; I place a high value on open clear communication, and trying to make a critique "polite" often just makes it hard to follow. Alright, with that out of the way, let's start to dig in. I am an amateur writer and long-time player of the TW series, especially the mods that really dig into the history, and only just recently realized that using a campaign as a backdrop could be a very nice (not to mention easy [comparatively speaking]) way to write a story; you start with characters who have developed personality traits and familial lines, and you can simply follow them on their grand adventures. In that spirit, this AAR will be written in a novel-like form, only following the exploits of one general and his part in the birth of an empire. The AAR will be broken into separate "chapters" and "parts" which will generally cover single arcs of the character's story. In general, think of it as a book, with things having about that pacing and separation. As with any writing which is posted/published as it's being written, any thoughts or suggestions after each post are most welcome and will be incorporated into future installments. Images: EBII is masterfully done, and while playing the imagery is just lovely. However, once a still shot has been taken, it becomes pretty clear just how old the Medieval II engine is. For that reason, images will be put in using different games and/or more "artsy" compositions from myself or another (credits will always be given for outside work, so you can rep accordingly!). As of now, there are very few pictures, but I aim to remedy this as soon as possible. Names (places, groups, people): I will use as many as I can find that are period relevant (Safaitic and Hismaic, both of which according to my research fall under the heading "Old Arabic", seem to be the dominant languages of Arabic Palestine, north Arabia, and the Hejaz regions), but I will supplement these with modern Arabic names. If anyone reading is knowledgeable in Old Arabic or any of the particular languages or regions, and knows a more appropriate name or naming scheme for some particular item, I'd be very happy to hear them. Also, when I use the Old Arabic names for places/people that may be known to readers under other contemporary names, I will put the contemporary counterpart in a small glossary at the end of the post. Sectioning: For ease of reading I will split the chapters into between four and seven parts, so that no single post is too long or burdensome. However, the underlying intent is for a single chapter to be read as a single chapter, so bear that in mind if it seems like a "part" breaks off before it should; if that irritates you just keep reading. I noticed that in McScottish's AAR he included a glossary in the first post to explain certain terms that might be less well known or that might be known under other names. Given that I use many region appropraite naming schemes which are less known, I feel that might be useful here as well. So, here is a glossary of useful terms to help you with following what's going on. In order to have an easy reference point for where things are going on, I thought I would link here in the OP the map that crops up here and there throughout the story. I will also try to make a similar map covering the eastern Mediterranean sometime soon, as that will also become an important area (much much later) in the AAR. One final note: At some point in time I think I may like to try to get this story published, so any thoughts on that (probably at a much later date) would also be welcome. Now, without further ado, let us have a look into the desert. An hour after the rising of the sun a great cloud of dust was seen climbing in the depths of Wadi Musa, the sand and earth flashing gold and orange where it caught the young light. As the fiery column neared dark shapes at its base resolved themselves into six figures, riders atop richly saddled camels, messengers out of Rekem* no doubt bearing words from the Malek*, Malka Qênu. In preparation for their arrival Mun'at Ha'Qadri ordered his men to prepare bread and meat, and fetch wine as well, and bring the feast to his tent. The riders were near already, but the final descent into Wadi Araba was choked with broad fields of shattered flint and basalt, sharp going over ground already too warm for a camel's soft feet. The party would have to pick their way through carefully, following the dry rivulets of last winter's rain where the cooler ground below had been exposed, giving Mun'at ample time to prepare for their arrival. He turned his back on the dusty column and began threading his way to the center of the camp where his tent lay. Here in the shelter of the valley walls and the protection of friendly territory he could have indulged himself and set his lodgings apart from the men, but such luxuries would too surely bring future risks. Out in the desert wastes a man could not afford privacy and the thickness of canvas provided the only solitude to be had. Mun'at Ha'Qadri knew that a commander who set himself apart would earn only distrust and baser suspicions besides, all dangerous sentiments to foster in fighting men at world's end, and so he placed his abode at the center of their small camp and left the outer flap always open. As he stepped inside he inspected the space where he would receive the king's messengers. Unadorned yet princely rugs lay artfully scattered in a circle, the center of which had been swept smooth, a bed of sand which soon would be covered in broad copper plates and woven baskets holding the prepared feast. Before long his captains and faithful companions had joined him, all placing themselves on the rugs in their rough circle, no man higher than the next, no head nor foot to their earthen table. The riders were still out among the flints and stones of the valley, and Mun'at bade the older men tell stories while they waited. Rana'in, the eldest, spoke first, relating the tale of his first hunt, when he alone had chased an oryx to exhaustion, following her for two days through the hills of Hijaz until she simply lay down and died, unable to flee any longer. Then Khalil, a herdsman turned raider, told of his journey north to the salt sea of 'Isra'êl, mixing in as many crude jokes as he could and turning the youngest men among them crimson. After Khalil one-eyed Haza'el began to speak, but was instantly cut off when the tent's inner flap was thrown open, letting in a cloud of dust and six men. Mun'at Ha'Qadri rose and embraced the foremost among them. "May Shay' al-Qaum bless this company." the newcomer said by way of greeting, to which Mun'at responded "Dushara's protections over this land." With the formalities of salutation dispensed with the riders then sat, taking places amongst Mun'at's men on the carpeted ground, and Mun'at motioned to signal the commencement of the feast. In proper Bedouin fashion the plates were first offered to the guests, the most revered of their number taking his rightful portion and handing the dish to his next companion. When they had finished with the platters of meat and baskets of bread they would then reach across the open space and extend the meal to Mun'at who would follow suit, taking his allotted amount and handing the feast on down the line until it finally reached the lowest man there seated. And after all had had their fill, eating in silence, the remains were taken away to be divided between the men and women outside, and rich strong wine was brought in that the distinguished party might casually discuss the import of the riders' message. The man who had greeted Mun'at was the first to speak once the wine had been served. "We thank you for your hospitality, and commend the excellent feast you have provided us." he said with raised cup, to which each man answered with a nod and cup equally raised. With the toast behind them he then continued. "However, we are expected back in Rekem this night and so must not tarry or waste words. Four days after the last new moon a Lihyanite force was seen departing Dedan, heading west toward Hijaz, and as they crossed the lands between their profane city and the barrier hills they, by power of gold and threats, impressed many of the intervening tribes to join their number. They have raided the oases of the southern tribes and even now are poised near Tabuk, prepared to strike our allies of the Hisma." Mun'at gently raised a hand to stop the man. It was not his words that gave him pause, but rather the way he said them, the faint note of panic on the edge of hearing and the desperate glint in the man's eye. "What is it to us if they raid Tabuk?" he asked calmly, his voice even. "The Lihyanites will carry out their raids, as they always do, and before the next moon is full the Hisma and Hijaz tribes will have raided the Lihyanites in their turn. When they have each had their play at brigandry we too will ride out and take our tolls from them all; that is the way of the desert. Why should we concern ourselves with one petty band of plunderers?" The man took a breath before answering and almost imperceptibly shook his head. "Mun'at Ha'Qadri," he began gravely, "you are a wiser man that that. It is now sixty turnings of the year since the pale men out of the sunset lands, those arrogant Greeks with their illusions of empire, came to our shores, and they show no desire to leave. With the death of their great king Iskandar* we were given respite, the greed in their hearts driving them to bleed their brothers and break all bonds of friendship, and this alone has allowed our continued survival. Malka Qênu, our most wise king, fears that should the fragmentary and quarrelsome Diadochoi set aside their long feud then they will turn their ever-hungry eyes eastward to our lands. That is why we must unite the tribes of the desert, all of them, that together we may stand against the rich Ptolemies and over-reaching Seleukids." "But such fear is surely senseless, unnecessary," Mun'at replied, "for are we not friends to the Greeks of Phoinike* and en-Nil*, those Ptolemies who hold secure our western borders? And are not the Seleukids indifferent to us and moreover held at bay by the powers of Bostra and Tadmur? What have we to fear from their likes?" "Your boldness and strength of conviction does you credit Mun'at Ha'Qadri, but you know it is unfounded. Tadmur and Bostra stand free and independent by chance alone. The Seleukids and Ptolemies worry one another on every field of the Levant, and this preoccupation leaves neither one the time or resources to adventure far from their usual haunts. Should they make peace, the cities of the north will fall. As for the Ptolemies to our west, those you call 'friend', they care nothing for family or tribe or nation. They are individuals to a man, without concern for any but themselves, and they are not to be trusted." The messenger paused briefly then, and when he spoke again his voice was low and yet more powerful, as though volume had been casually traded for weight and force. "Think on their history Mun'at." he said. "Without their mighty king, who they venerated and feared as a god, how long did they stand by one another? How long did they lock shields in phalanx unconquerable? Before Iskandar's body had even been laid to rest Ptolemy, father of a line of traitors, seized it that he might by the bones of a hero legitimize his claim. As for the rest of them, within two years the Greeks had forgotten all bonds of kinship and common loyalty, tearing at the scraps of an empire as dogs over a carcass. They are not to be trusted." With flushed cheeks the man finished and Mun'at, head bowed in contemplation, slowly responded. "Yes..." he said with downcast eyes, "you are right..." His voice trailed off and in the close silence of the tent the men sitting began anxiously to trade glances between Mun'at, the messenger, and one another. As the interlude stretched the anxiety of the captains and companions grew, and just as they began to stir on their mats Mun'at raised his head and fixed the messenger with flashing eyes. He spoke calmly and evenly, but with barely contained ferocity. "What would our king have of me?" I found it really engaging. Arabia must be united if one is to stand a chance against the Greeks. I will eagerly wait for the next chapter. One or two screenies will surely be helpful. Keep it up! PS I like your signature line. A lovely start to your story, always nice to see a new writer joining the ranks. You describe your surroundings and the people in it very thoroughly and therefore I can say screenshots from the game would only do them injustice, in my opinion (for this instance at least). As for the setting, it is a very interesting one starting in a place of which most of us, I guess, don't know much about. I'll be eagerly following this tale to see its progression. One tip that might be useful is, as your story grows longer, to link your different chapter in your first post via the [post=postID]"title"[/post] code. But it is up to you of course. Last edited by Turkafinwë; June 06, 2018 at 08:39 AM. All I can say is "please sir, can we have some more?" I'm really looking forward to seeing where this goes! 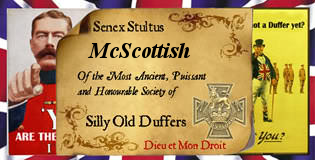 The Crannog of McScottish; a list of all my AAR's in one place! Great stuff, looking forward to the next instalment. Thanks guys! Glad to see a few people are enjoying it so far. Given that Caesar16 and Turkanfinwe (sorry dude, my keyboard has no "e" with dots above it; I've got ä, ö, and ü, but not the e) have differing views on screenshots, I will think about it more. I might possibly include one or two in spoilers, so that they are out of the way, but available for those who enjoy them, but I am still unsure. At any rate, I am trying to make some maps myself (both computer generated ones and hand-drawn ones) which will show off the region, the tribes, the different wadis and geographical features, and anything else that may be of interest, and those will certainly be interspersed throughout the work as soon as I have them done. Maps help visualize the journey well, can give a lot of background information that I am drawing on in my writing, and are just awesome anyway, so they will be used! One question for those of you following so far that I would be interested in hearing back on is whether the post length is okay? Personally, I like that length and wouldn't want them to be shorter, but I understand that long posts can scare readers off or present too much of an immediate burden to lure you in. Then again, my style has a lot of description, so the posts are naturally a bit longer in order to get that in and to still allow for some form of action as well. Given these points and my lack of certainty about what's best, any thoughts you guys have on the length of posts would be much appreciated. Final point, I plan to try to regularly post updates once a week, on Sunday, so be prepared for Part II going online tomorrow, in which we find out what the planned campaign will look like. I enjoyed your vivid descriptions of the land, the people and the culture. Your first chapter introduces the strategic situation and sets up a central plot-line well. I look forward to finding out whether Mun'at Ha'Qadri can unite the peoples of Arabia and defend them against their enemies. You asked for feedback. I'm enjoying this a lot. I particularly like the cultural aspects of the setting, such as the story-telling and ritual greetings and the hints about how the Bedouin perceive the culture of others ('they care nothing for family or tribe or nation'). I like the way that Mun'at Ha'Qadri stands up to the king's messenger, rather than simply asking for instructions. The king's messenger seems like an important character, if only in this chapter. If he appears again, I suggest telling us his name and something about his status or role in this society. I am not sure why, but reading your chapter, I wondered who has higher status in this society, the general or the messenger. The messenger is able to correct the general's misapprehensions, but he does so with courtesy, so perhaps they're of equal status. As Turkafinwë said, screenshots are not necessary; AAR writers are welcome to include them if you want to. I posted a summary of how to use the 'Albums' feature of TWC to display images in an AAR in another post. A map can be helpful. You asked about post length. Normally, at least in my previous AARs, I aimed for between 1,000 and 1,500 words per chapter and your first chapter looks like it's at the top of that range. If I write more, I think it can be helpful to ask whether all of it makes enough of a contribution to the story to keep - and, if so, whether it can become two chapters. That's just what I usually do - others have different approaches. Last edited by Alwyn; June 09, 2018 at 11:11 AM. The messenger smiled thinly, a narrow scar along his left cheekbone giving the expression an almost roguish air. "Ravîv'êl Bikrum, the king's firstborn, has been sent east with a small but noisome detachment. They will travel down Wadi Sirhan to the great sand wastes of Nefud and under its cover move deep into the lands of the Lihyanites. When they are seen they will be taken for a raiding party, nothing more, but Ravîv'êl will by force change their measure of him. He is to take Tayma, raid its outlying oases, and loudly proclaim himself Sharif of the Thamud and Hisma. His reputation will lend credence to the apparent 'facts', and such boldness so close to Dedan will draw their attention." "As for you Mun'at Ha'Qadri, you and your men are to travel south to the port of Elath* and there join the company of Shullai Ha'Maleki. The boy is still green, headstrong, and your counsel and guidance will do him well. You must ensure that he trusts you, for the road you will travel together is long and not to be tested by a party divided." "Once arrived in Elath you are to wait as long as necessary for the mustering of the forces. Out of Rekem will come bows and lesser tribesmen, light soldiers to a man, but dependable and moreover capable of foraging in the wilds if need be. You will not be bound to the shelter of fertile lands, but will move freely, unexpectedly, the better to confound our foes. From Ravîv'êl will come much the same manner of reinforcements, but horses as well, small hardy beasts accustomed to the sands and heat who no doubt will serve you well." "The soldiers from Rekem should arrive only days after you, those from the east weeks later." The messenger stopped then, his hands slowly twisting the hem of his robe this way and that, and he proceeded again only reluctantly. "Mun'at, this is your expedition to lead and I would not tell you your own affairs, but I would advise that during your delay in Elath you set the men out of Rekem to some sort of exercise. They are dependable and capable, as I said, but too many of them have been at garrison for too long. Patrolling city streets is no task for a true soldier, and I see how they have forgotten their former selves. They have forgotten what it is to fight with a man at your side, the sands beneath your feet. They have forgotten the thrill of a raid and the calm afterward. Help them to remember before you face the Lihyanites." "When all have arrived and the preparations for your journey are made complete, the king wishes that you first march east to The Valley of the Moon* and there lay in ambush. The spires of red stone will hide and protect you, even as the burning crimson sands seek to scorch your soles, but the men out of Dedan will not know of your presence in that region. The king believes that if they sack Tabuk they may then turn their eyes to Elath, and in their haste to plunder its riches step freely into your trap. Give them the opportunity, but if they do not come to you then seek them out and destroy them all." "With their advance forces decimated and the garrison at Dedan distracted by Ravîv'êl's little play at being warlord the city will be incapable of resisting you. Take Dedan and then move south into the lands of Saba* and her pathetic federation, and then, when all the tribes of the desert follow our banner, then we will be in a position of strength. Perhaps then we may challenge the Diadochoi themselves." Again standing at the edge of his camp, Mun'at watched the eastern hills where six riders were slowly sinking into the haze and imprecise light of evening, the cloud of dust behind them no longer gold or even a sultry desert orange, but instead a deep and arterial red. He stood motionless, his gaze fixed on the shrinking image until it was lost altogether in the flickering shadows of day's last light, and when finally he turned away he was greeted with the sight of a hundred men on horses, prepared to depart at his sign. The tents had been packed away, the carefully laid cisterns cleverly concealed, and the only remains to mark their long residence in the valley were the scattered and smoldering fragments of horse manure from which they had made their fires. Mun'at mounted in silence, gratefully receiving the reigns from Rana'in, his constant companion. The old warrior nodded and they set out south down the valley, the rest of their party falling in quietly behind. The base of Wadi Arabah, which runs south to the sea, comprised a broad bed of gently blown fine sands, alternating in hue between desolate washed-out gold, purest white, and lustful vermilion. On their right rose the lazy regular slopes of the valley walls, painfully mundane aspects of a land so often wild. However, as if in answer to that tedious sight, on their left towered the broken outriders of Jabal al-Madhbah, where it was said the deliverer of 'Isra'êl once spoke to their god. The valley floor lay in shadow, but those vaunted spires of stone still shone brightly, their glow illuminating the landscape with borrowed light. Then, all too quickly, the sun sank away completely, its rich radiance traded for the pale rays of the moon. The rocks and hills surrounding them, whose edges had before seemed so smooth and forgiving, transformed into a maze of sharp lines without field or depth, and the gently undulating ground took on the mantle of a sea under storm. They would ride through this deceitful image of black and white for half the night, resting shortly after Wadi Gharandel, and finish their push to Elath the following afternoon. In deference to the men's mood Mun'at remained silent, attempting to busy himself with the study of the land, yet his mind would invariably return to a single phrase of the messenger's words: "Perhaps then we may challenge the Didochoi themselves." For his part he was to unite the peoples of Arabia under the banner of the Nabati, but beyond that lay no designs, no grand adventures planned. Mun'at Ha'Qadri was born of the desert, a child of raiders and traders, nomadic folk ill at ease in the confines of city walls, and in such an environment he had thrived, becoming foremost captain of Edum. There were cities in his land, minor centers of power and wealth, yet he chose a wanderer's life, the sun and moon his faithful guides. But behind his restlessness, his need for motion and changing scenery, lay a longing for some thing unknown. Not the close hot streets of Rekem nor the salt splashed shores of Elath. Mun'at longed for a true metropolis, to ride down wide avenues fronting on temples and squares too large for the mind to hold. He had heard tell of Thebes Hekatompylos, of Gaza, of majestic Alexandria with her tower of light, and he wished to see such marvels, to call them his own. Mun'at Ha'Qadri, faithful to tribe and king, would carry out his task and take Dedan, the lands of Saba, and the Hadramawt, but when he had finished he would follow his own course. He would take his men across the narrow sea to the lands of the Aithiopians, men whose skin was dark as desert flint, and he would ride against the cities of en-Nil, claiming their glories for himself. One by one he would conquer the thrones of Kush and ports of Ptolemaic Aigyptos, and when he had tired of their sights move on down the great river, leaving tributaries to his king in his wake. And so Mun'at would bring truth to the messenger's words, daring to challenge the mighty Diadochoi on their own lands, and by his hand win glory for his people and freedom for all tribes of the deserts. With such grand designs playing through his imagination Mun'at rode tall in his saddle, distractedly calling the day's halt shortly after they passed Wadi Gharandel. The men set a close and spare camp, providing only the necessities for the planned few hours rest, and then all retired to their tents or sleeping mats laid bare beneath the open sky. Mun'at was the last to lay himself down, having made a brief round of the men's positions, but once inside his canvas home he fell asleep quickly, dreaming of high white walls scratching at the heavens and a tower of light surrounded by breaking waves. The next installment is here, with a hastily prepared map in there to boot! I wanted to give some indication of where things are and where they're headed, but the map was put together by me very quickly. Due to that there are some issues and minor mistakes, as well as things missing. Rest assured, I will improve it in the coming week when I have more time and reupload a better version. I also plan to draw out by hand a map of the tribes at some point and upload that too (if I can ever find the time). In the meantime, I hope what's here proves helpful and gives you an idea of the shape of things to come. EDIT: The state of the first map was bugging me too much, so I made a bunch of fixes and additions and uploaded the newer copy. I will continue to add wadis and rivers one by one, and periodically update the map accordingly. If anyone notices an error in there, or thinks something else should be added, let me know! Last edited by Kilo11; June 10, 2018 at 02:34 PM. Good update! I like the messenger's plan, his description of the detachment commended by Ravîv'êl Bikrum is a nice touch and your description of the dream of Mun'at Ha'Qadri is well done. It sounds like the King is thinking several moves ahead - and that Mun'at has ambitious plans of his own. (I like hearing the plans of characters in AARs, this makes me want to keep reading to find out what happens when their plans encounter the plans of others.) I wonder if Shullai Ha'Malek will listen to the counsel of Mun'at, it sounds like Mun'at has the first of a series of challenging tasks ahead of him! I found this through google search rather than WS . Alwyn's words are exactly what i feel . please continue .There ain't many Nabatea AAR's out there . To anyone concerned. I am leaving twc. Bye and best of luck. And Pike thanks for supporting me always. I agree with Alwyn and mad orc on all points. This style of writing does really suit you and the story you are writing. The map looks really good and is very helpful to understand the strategic positioning of certain locations as well as we can follow our hero on his quest. On the tale itself, it seems Mun'at is a very ambitious man and a man who, I think, will never be satisfied in his greed for more cities. A dangerous ambition to be sure. First of course he must complete his King's ambitions, which are by no means small. Conquering the entire Arabian Peninsula is no small feat. Consider myself very much intrigued on how all these things will play out and I will be following this tale very closely to find out. Yoo've done a great job thusfar! At last the eagerly awaited update is here!! and it's well written. I personally loved the way you described the surroundings! Mun'at is really ambitious! He has already begun dreaming of conquest of faraway lands of Aegyptos and Aithopia which I am sure is no easy task. But first he must stop dreaming and unite Arabia which as Turkfaniwe stated is no easy task. I loved it and will wait for more. This is interesting since I know so little of the culture back then and I am only a bit familiar with the region even today (a bit of knowledge of Egypt and none of Arabia). You asked about length of the posts -- they are fine, but then I tend to favor shorter rather than longer on the internet versus the bound book. Thanks to all for the encouragement so far! And I am glad to see a few people are interested in the area and the AAR. @Alwyn: I forgot to respond to your earlier question about status and rank. I have only very limited knowledge of desert cultures in antiquity, but it seems that groups like the Bedouin have changed very little over the past few millenia (barring some extremely recent adaptations they've made to deal with current technologies and conflicts which affect them directly). Given that, I have drawn most of the cultural/status points from information I have on Bedouin and Arabian tribes just before/during WWI. In that research I have found that the culture is very dynamic, perhaps even chaotically so from our perspective, with power and respect being something that is doled out based as much on merit as by birth or wealth, and subject to change overnight due to cowardice in a raid or the loss of one's goods. However, behind this ever-changing power structure is a deeply egalitarian baseline where all men are treated as men, period, and women are also accorded a certain degree of freedom and responsibility above that common in western cultures. The reason for this all is largely because the desert is such a harsh place, and everyone must contribute to the survival of a tribe, which tends toward the development of a more meritocratic society. This also means there is a bit of "inconsistency" in the system, since in principle there is an egalitarian thread, but also a rigid structure overlaid onto it where authority is earned and held by common consent. I will try to let this bleed through as much as I can, making clear that the "good" generals see themselves as equals, while also being assured of the fact that they are solely in command because of their merit and station (which is earned through merit). It may be too subtle, but I will try to keep that in as much as I can, as you will see in some phrases in the coming installment. @MadOrc: I also haven't come across many of them, nor many on any of the fringe factions (maybe some of the AAR writers here could remedy that ). @Turkafinwe: Glad to hear the map is helpful. I just love maps anyway, so it was bound to get in there at some point, but it did seem to be necessary at that stage. @Caesar, NorseThing, TSK: I am glad you are all enjoying the desert setting. I thought it might be an area that is less well known, which makes it a good place to set an AAR, and I also have always found the desert to be an incredibly intriguing place. It is a place of opposites and extremes, of barest desolation and moments of pure plenty, and it holds within it the bleakest and yet somehow most romantic settings I can imagine. I only hope I can transfer some of that awe and attraction to you all as well! Mun'at rose from his tent as the eastern horizon was beginning to blush, glad to see many of his men already roused and preparing to depart. Before the first glint of the sun had touched the earth the rest of their company had woken, made their brief excursions to just outside the camp for their morning necessaries, and hastily returned to gather up their effects. Soon enough they were again in saddle riding south towards the ever-nearer sea. At first they traveled in shadow, the radiance of the sun hidden behind the eastern mountains which burned from behind. The peaks presented a terrifying aspect so early in the day, for the outcroppings revealed no trace of their true shape, rising from the ground like pillars of night, yet they were edged in fire and running blood where the concealed light dared to venture forward. Then, in reverse parody off the evening's events, the sun suddenly and all too harshly burst forth, flooding the valley in heat and a blinding brilliance. The men continued forward without break or word of complaint, but their brows dripped heavily and each began to pitifully pant in his own private world of fire. Ahead of them the horizon, which before had placidly traced the lines of heaven and earth, began to flow and shimmer, mercurial beads of blue, white, red, and leaden gray mixing randomly until one's vision reeled. Into such unknowable vistas Mun'at rode purposefully, his eyes downcast yet still streaming from the intensity of the reflected sun. Increasingly exhausted the party pressed on, and already they had traveled far, covering nearly half the remaining distance to Elath. Then, in answer to the countless unspoken prayers for respite, Mun'at called a halt. They had reached a narrowing of the valley where some small shade could still be found among the precipitous and rocky eastern walls, and the ground had given up its reds and whites, deepening to the hues of old rust and dusty streets, colors too dark to reflect light but neither capable of properly holding heat. Truth be told, the difference was slight at most, but to hear the men's sighs of relief it could have been paradise itself. Then, as if to add to this estimation, a small group of tribesmen approached from the gently rising western slopes, bearing between them a dozen sacks filled with melons and dates. The men received the bounty with all good will, paying the tribesmen what was surely twice the goods' worth besides, and for an hour they rested there, eating and making small conversation until the sun had reached its zenith, banishing the last obstinate shadows and any chance for further comfort before they set eyes on the sea. Refreshed and in good spirits the party remounted, periodically allowing themselves to break into martial song as they marched south over the sands. The way became smoother, more predictable, and before long a gentle but insistent wind could be felt against their faces, traces of salt in its wake and the ghost of seabirds' cries beneath its wings. They continued eagerly, desperate to cast themselves into the cool embrace of breaking waves, and to their satisfaction the haze of sky blue and amber ahead of them began to separate, admitting a widening band of sapphire between. With each step the shapes resolved further, the mirage of midday giving way to the clarity of evening, until the houses and markets of the port town lay open ahead, the ships' tall masts visible just beyond. Mun'at gathered his companions together, a double-column marching in near unison, and with Rana'in at his side he led the procession to the whitewashed low governor's house where he was sure to find Shullai Ha'Malek, the king's youngest son. The building lay amidts a broad garden of palm and date trees midway between Elath's central square and the ever-busy port, and once arrived Mun'at entered alone, sending his men on to set camp along the shore just south of Elath. There they would have room enough to muster the forces and see to their provisioning and training, and in the interim his men might take pleasure in a moment's well-earned rest. It was late in the evening when Mun'at finally approached the camp set by his men. The day's final meal had long before been distributed and the soldiers sat merrily around their fires, enjoying the easy breath of the sea which washed over their new temporary home. As he so often did, Mun'at casually wandered from fire to fire, tent to tent, speaking to the men plainly and without pretension, a comrade in arms and no noble to be blindly obeyed. He walked with his head held high and back straight, but the older warriors, men who had long served as his companions, noticed a certain subtle stoop in his shoulders and weariness in his gait, the marks of a care unspoken. Some portion of the meeting with Shullai had surely done him ill.
Mun'at made no mention of his worries but he retired to his dwelling earlier than was customary, asking a runner to call on his closest captains for a brief assembly. The encampment was still an intimate affair, for as yet no reinforcements had arrived, and all the requested men were seated in his tent long before the watered wine had been served. Mun'at sat in silence, his gaze moving from one man to the next, testing their wills. Finally he spoke, his voice low and crisp. "I have asked you each here, you few in particular, that I might speak freely of our campaign and of our noble ward who is to join us, and I would have that these words remain here in this company." he said, after which he paused briefly. "The desert is an ill place to hold secrets or closed councils, we all know, and so I will not ask any among you to hear against your wills words spoken in confidence." He paused again, allowing any unwilling souls to depart, but, as he knew they would, the men all remained still, their eyes intent and assured of their purpose. "Very well." Mun'at continued, and with visible relief he began speaking with more force and honesty and decidedly less politic tact. "As you all know I spoke with Shullai Ha'Malek earlier this day, and it pains me to say aloud, but the boy is no true son to our illustrious king Malka Qênu. He holds himself in highest esteem, vaunting the pettiest of victories against local banditry as though he alone had bested mighty Iskandar in single combat. In his short life he has said little and done less, but the arrogant fool thinks himself wise as the philosophers and mightier than gods." Mun'at's voice trailed off then, a deep wave of weariness washing over him. He began again slowly, uncertainly, as though he distrusted the words coming from his lips. "Truth to tell, I would leave the noble brat behind were it not for the king's charge." The men sitting beside him remained silent, but their exchanged glances and unspoken words echoed across the open space at a deafening volume. Each of them had had similar feelings toward Shullai, some having had the displeasure of serving under him before and seeing firsthand the boy's recklessness and greed, but to hear their commander speak such words, a man so loyal to country and king, shook them in a way they had never expected. More than this, Mun'at appeared genuinely troubled, an aspect not at home in his countenance. With furrowed brow, Mun'at audibly sighed and began again, choosing his word somewhat more cautiously. "For good or ill the boy is with us," he said, "and the best we can but do is to teach him well and hold his ambitions at bay until he has some understanding of what it is to lead and to fight, not just against men armed but against the almighty desert who cares nothing for us. As we move forward on our long quest I would ask that each of you do your part to educate Shullai, but take care that he remains of the opinion that the lessons learned are discoveries of his own, for I fear his headstrong arrogance will prevent him from ever hearing wisdom from any but himself. He will obey me, I have made certain of that, but his blood runs too noble for his own good, and too much for him to take notice of a 'common soldier's' wisdom or thoughts." Again Mun'at grew quiet. He had provided no proper conclusion to his speech nor their meeting, but he had no more words to say. After the space of a few minutes he thanked the men for having come to him and he adjourned their council, assuring them all that they would speak again soon and, gods willing, under more hopeful circumstances. I agree with Caesar, this sunrise is great. First it seems innocent and almost like a romanticised desert morning to me but then it's a harsh and burning like deserts are. Beautiful! What can I say but generally intriguing writing - wonderful part 3 to your chapter!